· Overflow filler can fill thin liquids and can handle products with smaller particulates. This filling machine uses special nozzle that seals the container’s opening and fill products to the bottle. Once the product reaches its pre-defined level, the supply will stop, allowing all containers having the same equal fill. Even though there are slight variations with the inside volume of the bottle, overflow filler is still consistent in achieving level fill. Overflow filler is not applicable in filling products in bigger particulates as this can block the nozzle’s opening and will cause inconsistent fill that will eventually damage the nozzles. · Pump Filler can handle products higher in viscosity and products with large particulates. The type of pump used in pump fillers will depend on the particulates and products that will be filled in the container. Since this filling machine can handle larger particulates, it is then understood that it can also fill thick products with smaller particulates. Pump fillers are not applicable for products that are extremely high in viscosity with larger particulates. Forcing the filler to these extremities will create inconsistency on the filling process as larger particulates may block the products pathway, which in the end will cause damage to the machine. · Piston Filler is the best liquid filler to use for filling products that are highly viscous with larger particulates. This filler can handle products which are extremely thick like tomato paste and putties. Piston filling machine can provide a highly accurate volumetric fill. This type of filler uses a piston to pull the product into a cylinder. The cylinder will then allow ample area to handle larger particulates, which the pump filler cannot accommodate. With the use of the piston and with the right nozzle, larger chunks like fruits in jams can be pulled into the piston filler cylinder and pushed out into its waiting container. Before purchasing a filling machine for products with particulates, it’s important to take into account first the types of products and the particulates it contained. Overlooking this aspect might create mistakes that will eventually bring inaccuracy to the entire filling procedure. All businesses regardless of how huge started from scratch and all. The first five years in running a business is remarkably the hardest and the most challenging part. Within these years, business owners deal with a lot of dilemmas and issues that need immediate solutions in order for the company to flourish. During these years, companies are literally proactive in building their reputation, expanding their networks, and attending media exposure, which can all be sum-up as product marketing. Product marketing involves sufficient fund, which is unquestionably costly but very valuable in the end. Marketing the product is indeed significant for starting companies for their product to be known and recognized by the consumers. But before the marketing and all, business owners will have to determine first what appropriate equipment to be use. Start-up companies begin with a limited sales area that might range from one locality, while some start-up industries are lucky enough to serve a whole state. For companies that produce smaller production demands, tabletop filling equipment is the best option. Tabletop filling machine requires two or more operators to accomplish the filling task. Operators can turn on the switch of the equipment using its finger or foot to start filling products. All companies aim for growth or expansion in the future, of course the faster the growth, the better. However if the growth continually increases, tabletop filling machine may not be suitable for the type of production. It may become obsolete and may not be able to handle to the complexity of the production. With this instance, semi-automatic filling machine will be the best fit. One of the best things about semi-automatic filling equipment is its flexibility in working with other equipment like power conveyor systems. Furthermore, the equipment can also be added with additional fill heads depending on the needs of the packager. Thus, semi-automatic equipment is designed to grow together with the company, truly useful and cost-effective equipment. Luck may play to some starting companies who have products that will have amazing sales in the market. For these companies, automatic filling equipment is necessary. When the product shows continuous increase in sales every time, business owners should make use of this opportunity as there will be no assurance when tastes will change. In other words, business owners should always ensure the availability of the product to please consumers. Similar to semi-automatic filling equipment, automatic filling machine can also work with a power conveyor system and can be combined with other equipment like capping machines, labelers, bottle rinsers, and a lot more. 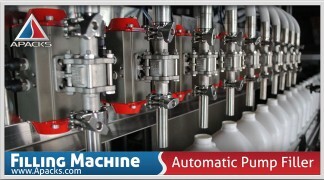 Automatic liquid filling machine can start filling without an operator to manage. It uses and indexing system to move the bottles in and out of the fill heads and uses sensors to send signals that the bottle is ready for filling. In addition, the machine also uses a touchscreen operator interface to set up the bottles and changeover. This equipment is upgradeable and best fit to those companies that produce higher production demands. Preparing a packaging line for a starting product is very challenging. However, no company can ever escape doing this task. To be successful with this undertaking, it’s best to read more resources to come up with the right filling machine. There are a lot of liquid fillers available in the market nowadays and it will be very unsurprising to get confused when you meet them. With all of its different specifications, assortments, capacities, and specialization, expect that the selection process will brought too much dilemmas. 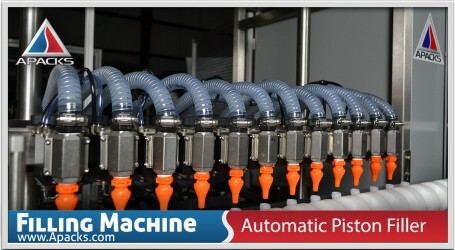 Every filling project requires different liquid filling machines. Thus, every filler is unique and plays significant filling task different from the others. Whatever type of equipment your production required to have; there are essential concerns to consider before jumping into finally purchasing a packaging machine. To help you achieve the right machine for your production, consider the following tips as they will guide you to the entire purchasing plan. 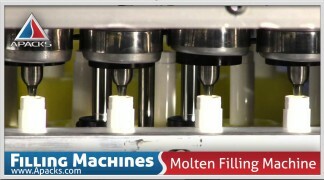 Filling machines have different principles of filling product. Every principle is different from the others and serves its unique purpose in the production process. It’s good to start with evaluating what kind of product you are going to pack. Thin and thick liquids or what are commonly known as low viscosity and high viscosity products require different liquid fillers to accomplish the filling process. Thick liquids use piston filler or pump filling machine, while thin liquids require overflow filling machine or gravity filler. These are general rules. However, changes may be possible for special cases like project that handles two or more products with different level of viscosity. Production rate can be calculated easily. The calculation will be made easier by deciding beforehand how many containers you wish to fill in every cycle. If liquid fillers have 4 fill heads and can complete 2 cycles per minute, then the machine can fill sixteen bottles per minute, or 960 bottles per hour. Changes in the production rate are obviously applicable by adding or subtracting the number of fill heads or through increasing the speed of the pump. Aside from the type of product, another important thing to consider is the flexibility of the machine. Almost all industries use different bottle sizes to match every buyer’s needs. Thus, liquid fillers should work with different types of bottles used in packaging the product. 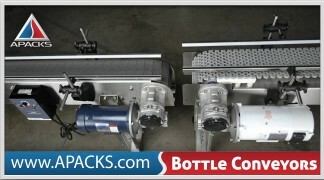 Different packaging equipment requires different changeover for the sizes of the bottles. Though every machine are able to handle different container, there are still some filling machine that works better when it comes to a more speedy and efficient changeover while reducing the filler’s downtime. The changeover can cause downtime to the filler that will also result to the delay in the production. If you already have the equipment of your choice, the next essential thing to do is to asses if the machine can work with your other existing equipment. If you already ensure its versatility in working with other equipment, then expect that you are on the right track! 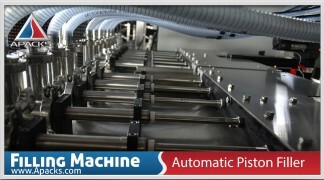 There are plenty of automatic liquid fillers that can be matched with any existing bottling conveyors. However, it’s important to note that semi-automatic machines may not be able to work with other packaging machines. Changes in packaging will always occur anytime in the future. Always take time to evaluate if the machine is capable of working with other packaging machinery in your plant industry to refrain from investing into a machine that will eventually become obsolete. As the internet is always accessible, it’s always best to inquire to two or more liquid filler manufacturer and always get ready with your list of all the latest and conventional equipment to speed up the decision process. Accomplishing the four tips ensure greater chances of getting the right equipment for your type of production.